Would you like to make BrookHaven lifestyle your own? Use the cost calculator form below to compare the costs. After inputting your data, click anywhere outside the form to update the calculation. 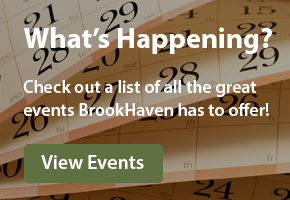 *At BrookHaven, the monthly fee for cottage homes includes everything listed below. Meals can be purchased in the dining room for a nominal fee. For a more accurate comparison, please contact us online or call us at (937) 833-4006. **It may be helpful to consult tax and financial advisers to determine this amount which represents the market value of your home less any outstanding mortgage, all sales related costs and any applicable taxes.